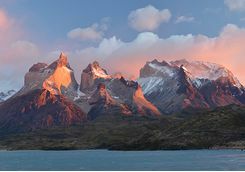 From the tropical rainforests bordering Iguazu Falls in the north to the chilly air rising from the Perito Moreno glacier down south, Argentina delights any traveller. 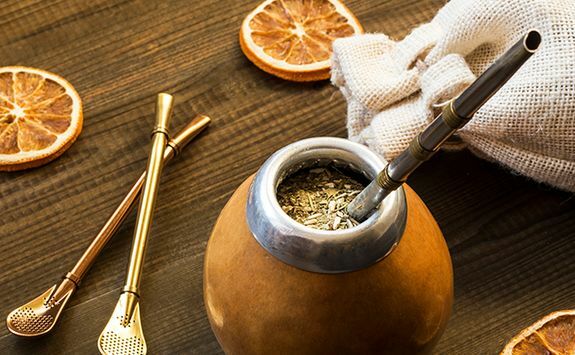 In between, experience the Pampas grasslands in the company of its gauchos, the Alpine quaintness of its Lake District and, of course, the buzz of Buenos Aires. 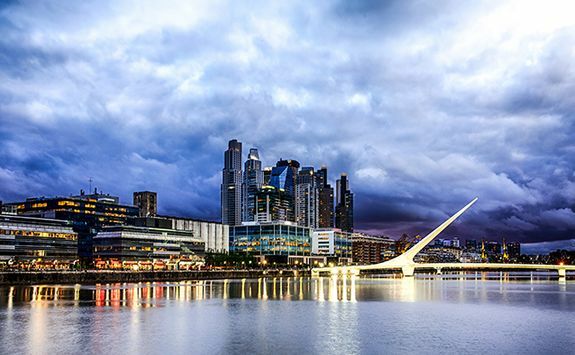 Your overnight flight to Buenos Aires takes off this evening. 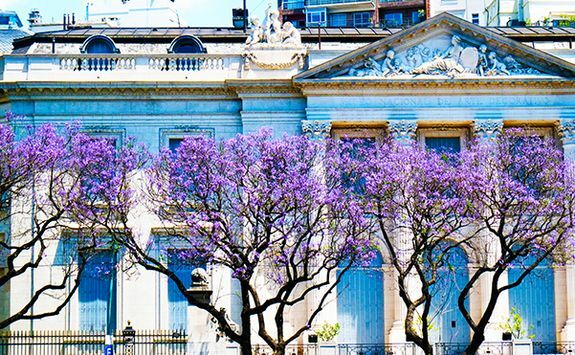 Direct flights are available and you should expect your journey to take approximately 14 hours. 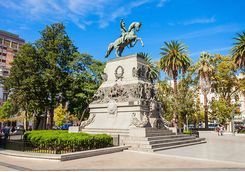 Your plane touches down at around breakfast time this morning and your driver will be waiting to take you to your hotel, most likely located in the attractive Palermo district of the city. 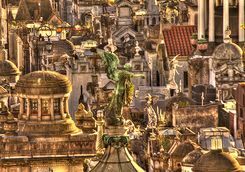 Palermo is made up of seven neighbourhoods, each with their own distinctive character. 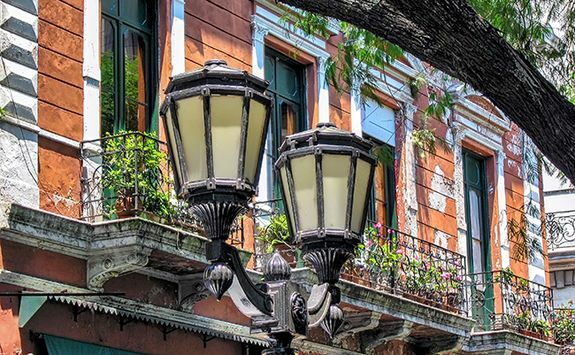 Palermo Viejo has a well established cafe culture while nearby, other parts of Palermo are known for their many museums. 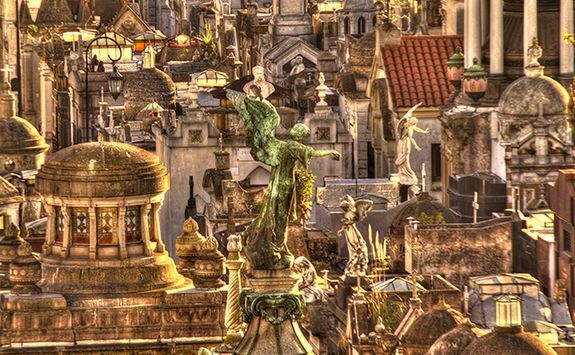 The famous Recoleta Cemetery is located close by. 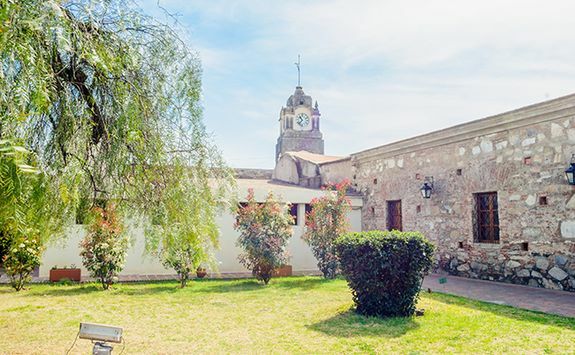 This is the final resting place for Eva Peron, better known to the world as Evita, who made a lasting impression on the nation in her role as First Lady. 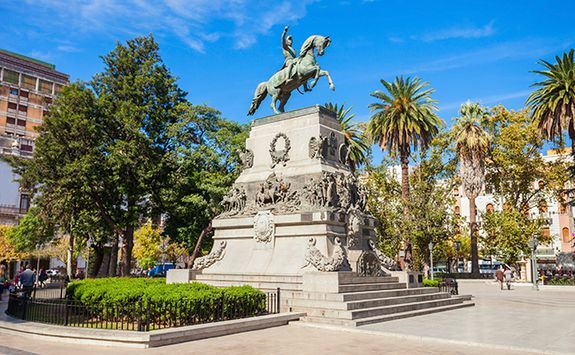 This morning take a city tour to explore the Argentinian capital's most important sights. 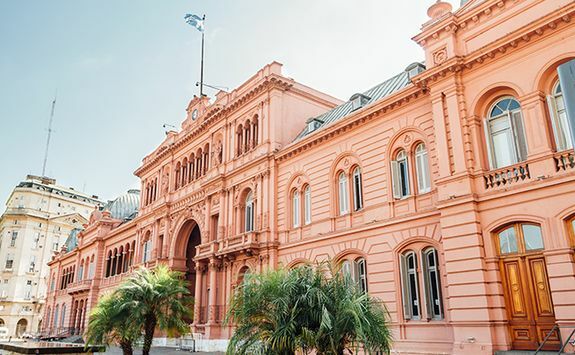 Among them, you'll visit Casa Rosada (the Presidential Palace with its famous balcony), the city's cathedral, the 18th century Cabildo and the cobbled streets of charming San Telmo. 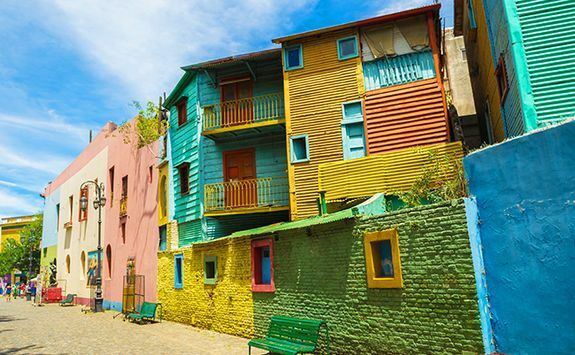 The tour also takes in the striking colours of La Boca, once a rough neighbourhood but now painstakingly renovated. It's common to find tango dancers performing on the streets here and they'll happily pose for a picture afterwards. 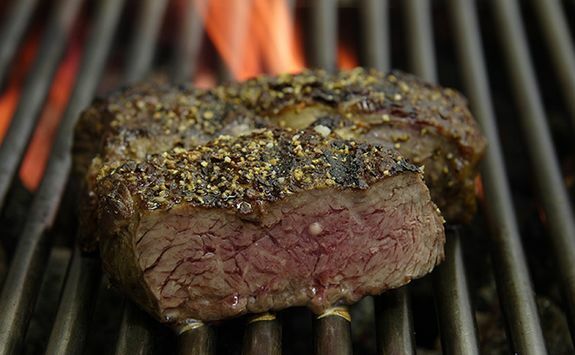 Tonight, you'll have VIP tickets to the Carlos Gardel dinner show. 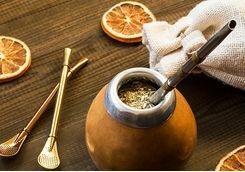 Gardel was one of Argentina's most popular tango singers of his time. 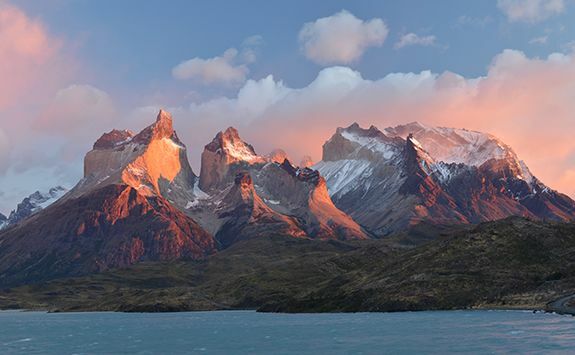 The big skies and vast landscapes of Patagonia are today's destination. 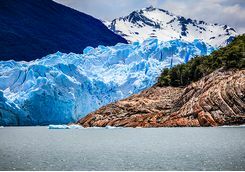 Transfer to Jorge Newbery Airport to catch your three-and-a-quarter-hour flight to El Calafate, where you'll be met and driven to your hotel. 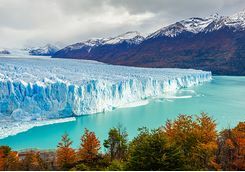 The small town of El Calafate acts as a convenient base for travellers visiting Perito Moreno glacier and as such has a wide range of cafes and boutiques. 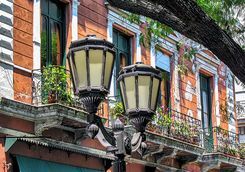 Stroll along the quiet main street to seek out one of its many restaurants for an asado (grill restaurant) serving melt in the mouth steaks cooked over a wood fire. 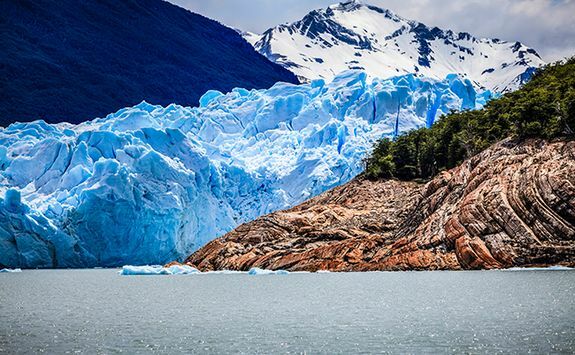 In an age when most of the world's glaciers are shrinking, Perito Moreno is the exception to the rule. 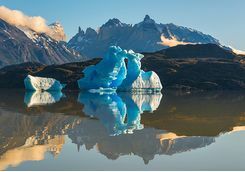 Scientists can't agree why the star attraction of Los Glaciares National Park advances each year. 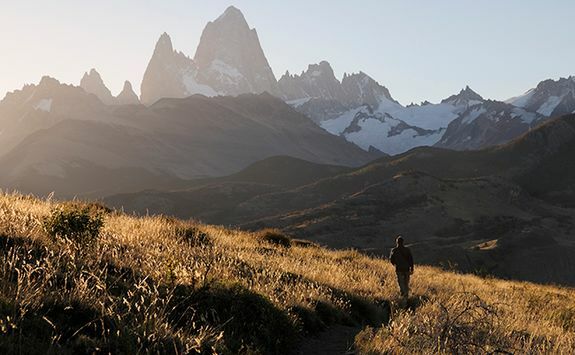 En route to the glacier, keep an eye out for the park's wildlife - guanacos, armadillos, flamingos and even the occasional puma have been spotted. 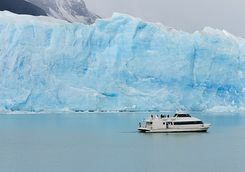 At the glacier's edge, walkways facilitate access right up to the ice, which creaks and groans like a hospital patient who's ditched the morphine. 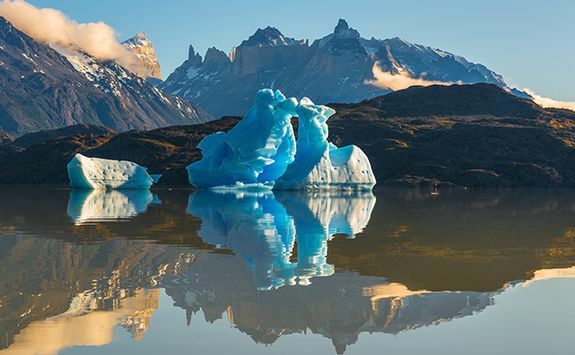 You may even be lucky to see the glacier calve; you'll often witness small chunks of ice called desprendimientos falling into the lagoon. 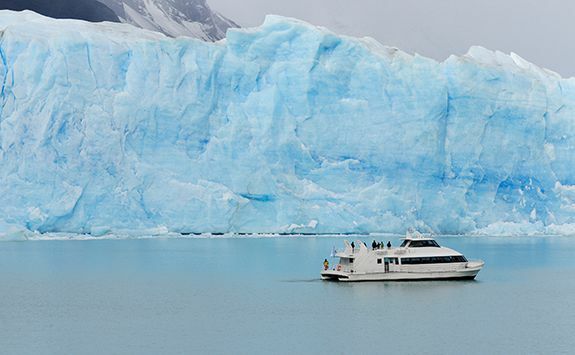 Take a boat trip; your vessel sails right along the ice face bringing it almost within reach of your outstretched fingertips. 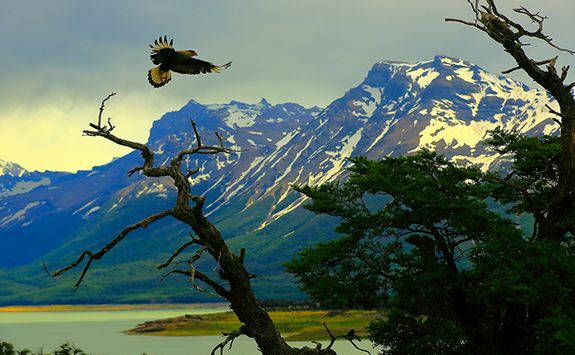 This morning, depart El Calafate and fly one hour and 45 minutes north to Bariloche. 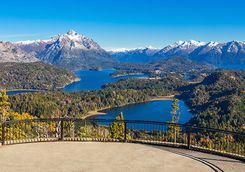 This charming city, located on the shores of Lake Nahuel Huapi, boasts the foothills of the Andes as a spectacular backdrop, and It wouldn't seem out of place in Europe with its Alpine architecture, cafe culture and abundance of chocolate shops. 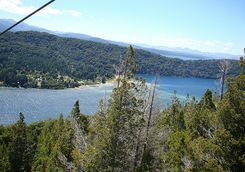 In winter, Bariloche is a popular ski resort and in summer draws the crowds for its first-rate hiking and scenic views. 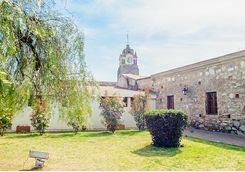 A driver will be waiting at the airport to meet you and transfer you to your hotel, just outside the city and your base for the next three nights. 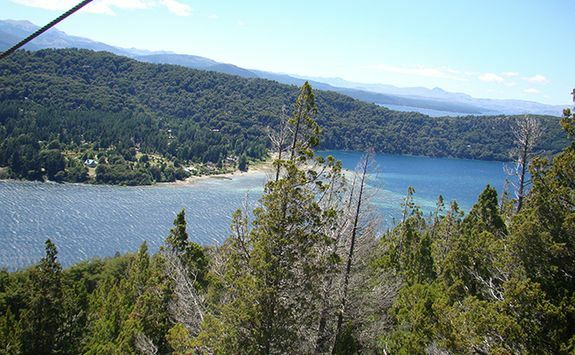 Begin your scenic drive and follow a road that winds gracefully along the shoreline of Lake Nahuel Huapi. 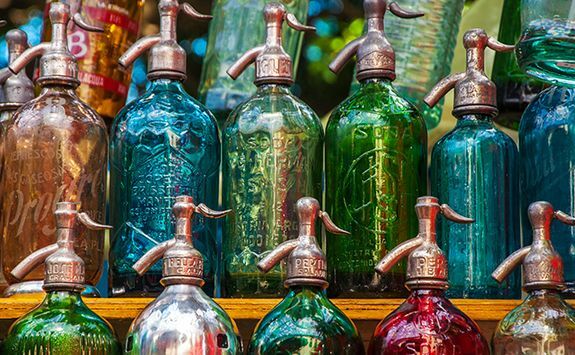 Passing beaches and tiny islands, you'll arrive at Campanario Bay. 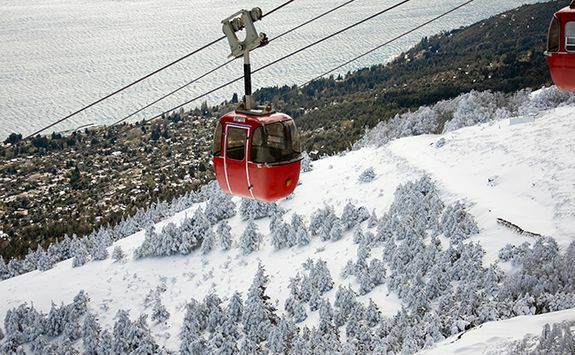 There, you'll have the option of purchasing a ticket for the chairlift up to Cerro Campanario. 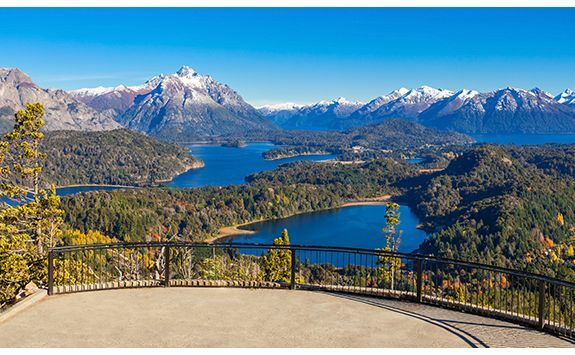 From the summit, you'll be able to enjoy panoramic views of Andean peaks, mountain lakes and of course the city of Bariloche. On a clear day you can see for miles. 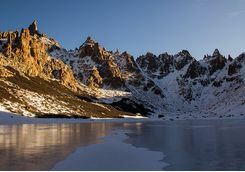 Back at ground level, drive along the Llao Llao peninsula and visit the historic San Eduardo chapel overlooking the lake. 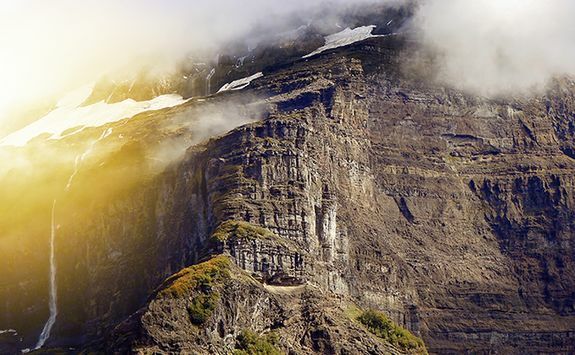 If the skies are blue, ask your guide to point out Mount Tronador, the region's highest peak. 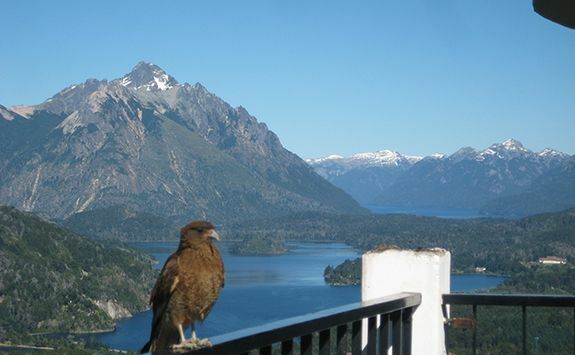 Today you'll have another day to explore delightful Bariloche and its surroundings. 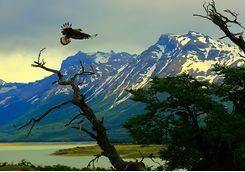 It's well worth paying a visit to the Museo de la Patagonia, with its comprehensive exhibits from the region. 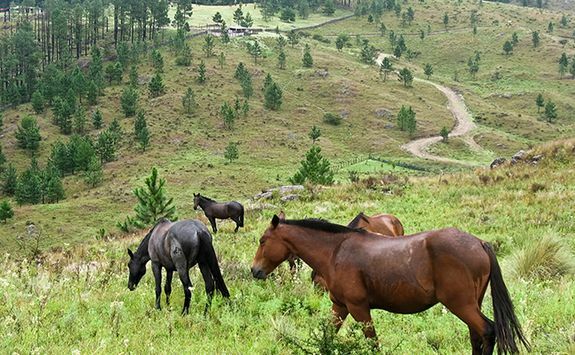 Outside the city, the area is blessed with an extensive network of hiking trails. 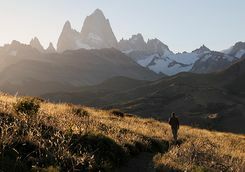 Perhaps the best day hike is to Refugio Frey, which takes you through forests riddled with tiny creeks and rivulets. 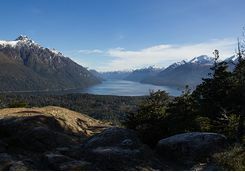 Emerge from the trees and take a mountain path affording extraordinary views of azure glacial lakes and snow-capped peaks. 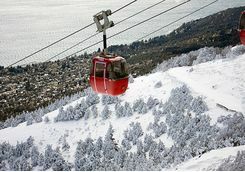 In winter, take to the slopes in this resort twinned with Aspen and St Moritz; the skiing is best in July. 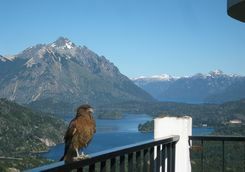 Depart beautiful Bariloche for Cordoba, a city known for its colonial architecture. Your flight will take around two hours. 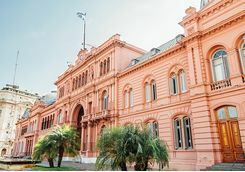 On arriving at Cordoba's airport, you'll be met for your included transfer to your estancia hotel in the heartland of gaucho country - the fertile lowlands known as the Pampas, which provide rich grazing land for vast herds of sheep and cattle. 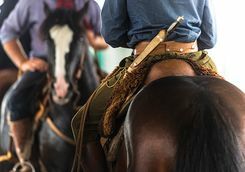 At the estancia, you'll have the opportunity to immerse yourself into ranch life with plenty of activities to keep you as occupied as you choose. 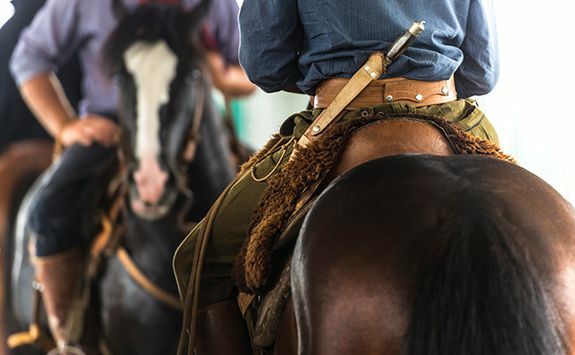 Today it's time to get acquainted with the life of the gaucho, Argentina's famous cowboys with their uniform of jaunty beret and leather boots pulled up over well-worn breeches. 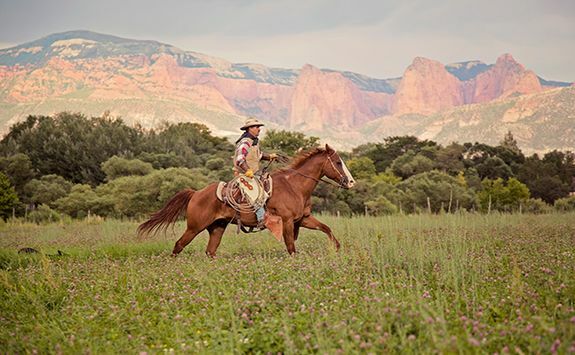 Your estancia offers trail rides for guests. 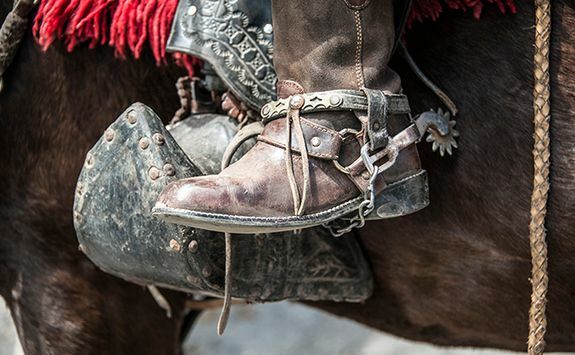 It's a relaxed style of riding using loosely held leather reins. 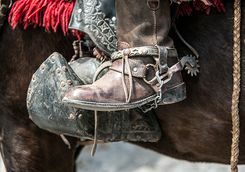 Even a complete novice can pick it up in a morning, seated on broad comfy saddles padded with thick sheepskins. 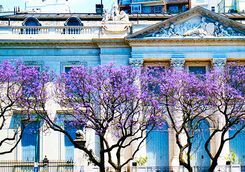 The programme is tailored to individual requirements. 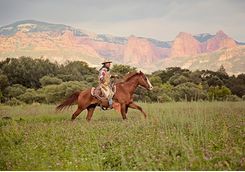 Guests can opt for a leisurely outing or a more challenging stint assisting the gauchos with the day to day work on the ranch. 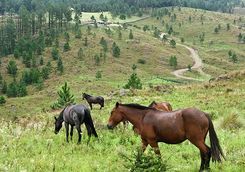 If you prefer not to ride, the ranch can suggest walking trails to spot birds or wildflowers. 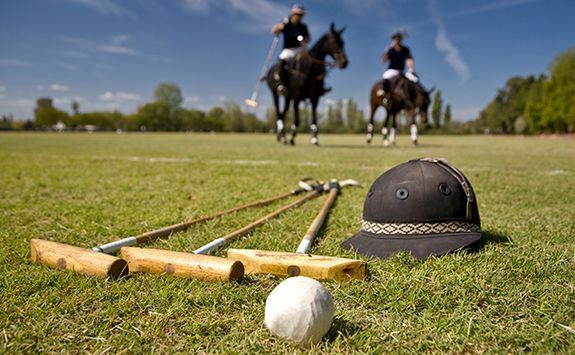 Polo is a local passion in Argentina and during your stay, your hosts can arrange for you to take a lesson or participate in one of the weekly practice sessions that are held on the ranch. 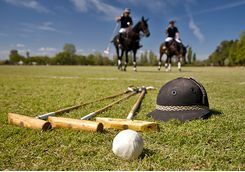 Learn more about polo ponies or develop your riding and animal husbandry skills under the watchful eye of the gauchos. 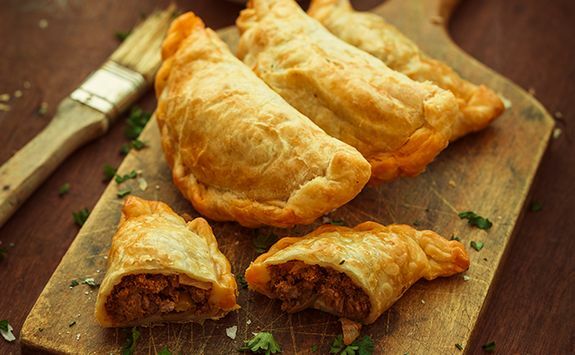 Venture in the kitchen to learn how to make traditional pastries called empanadas with the ranch cook. Too much like hard work? Take a dip in the pool or lounge in the hammocks with one of the dogs at your feet. 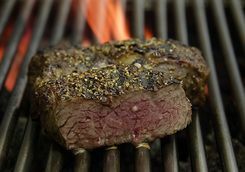 At the end of the day enjoy a traditional asado washed down with a glass of the local Malbec. 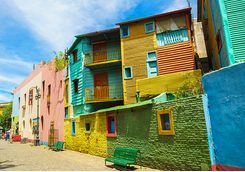 Leaving the estancia will be a wrench, but your sadness at leaving its idyllic setting will soon be forgotten as your final destination today is the mighty Iguazu Falls. 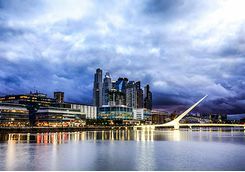 You'll take two domestic flights, connecting through Buenos Aires with a total flight time including your stopover of approximately five hours. 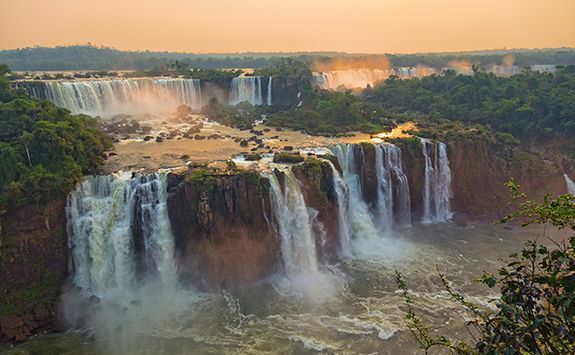 From Iguazu Airport you'll be driven to your hotel for a two-night stay. 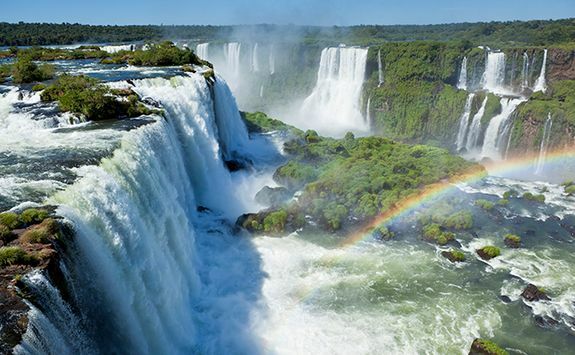 Iguazu Falls (Iguaçu in Portuguese) straddle the border between the Argentinian state of Misiones and Brazil's Parana. Depending on the season, up to 300 separate cascades make up the Falls. 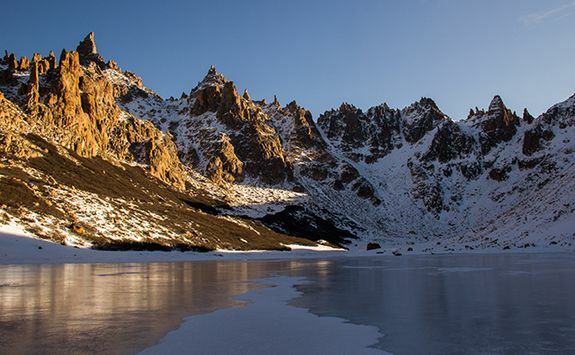 Today you'll enjoy a full day tour which takes in the main sights on both sides of the border. 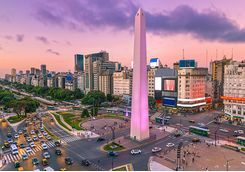 Begin on the Argentine side. A boardwalk enables you to get close enough to get a thorough soaking from the spray rising from the belly of the Falls. 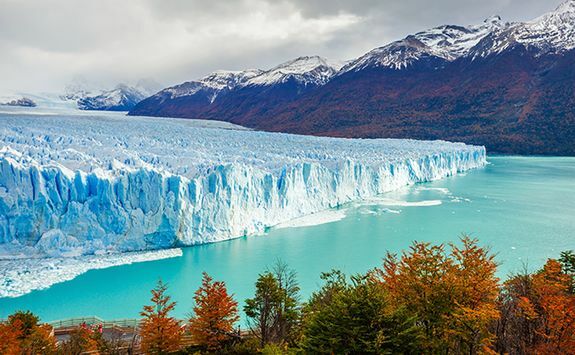 This deep chasm is known as Garganta del Diablo, or Devil's Throat. 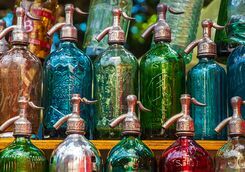 A tourist train will carry you into the surrounding rainforest to the sound of chattering monkeys and a cacophony of bird calls. 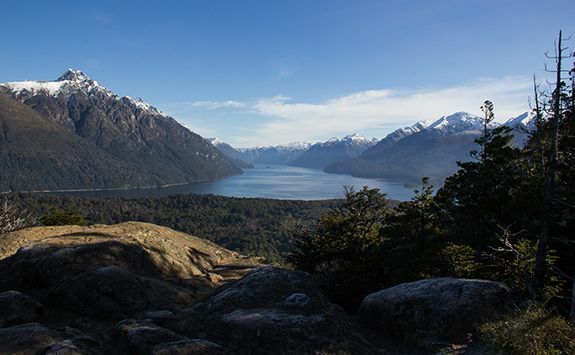 You'll disembark at a pathway leading to a scenic viewpoint. 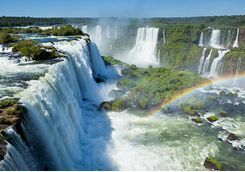 After lunch you'll cross the border into Brazil which will allow you to appreciate for the first time just how extensive these Falls are. 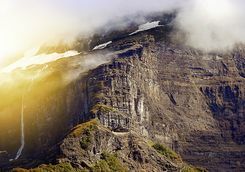 Once more, the panoramic views are magnificent, a reminder of the awesome power of nature. 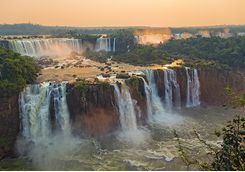 To appreciate Iguazu Falls at close quarters, consider taking a jet boat ride from the Argentine side. 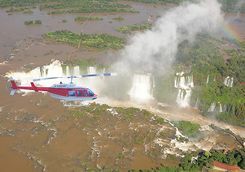 If you'd like to see the Falls from the air, helicopter rides are available on the Brazilian side of the border. 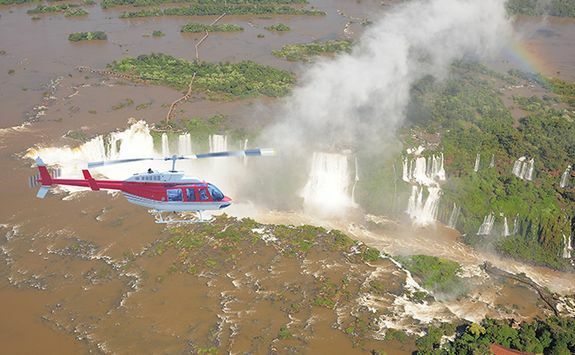 Leaving Iguazu behind, you'll begin your journey home late this morning. 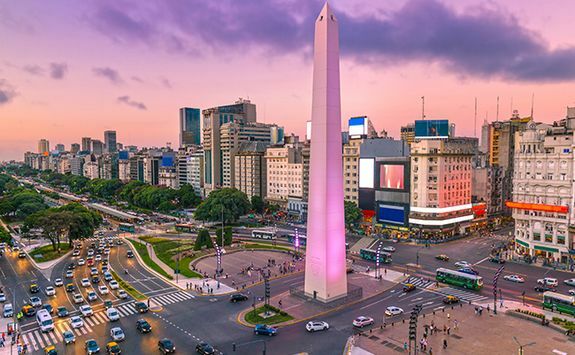 A connecting flight will take you from Iguazu Airport straight to Sao Paulo or Rio from where you'll connect with your direct overnight flight home to London. Total journey time is approximately 16 hours, including the layover. 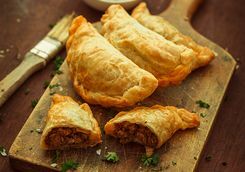 Your international flight arrives back into London at around lunchtime.